As the ETF industry begins to customize and tailor strategies to fit with a changing market environment, investors can look for ETFs with defined outcomes to better navigate shifting conditions. “Seventy-five percent of assets today are pre-retirement or retirement, and if they’re getting very close and ready to retire and they want those assets to be safe, we see an opportunity within the ETF space that wasn’t there before to provide a buffer ETF. 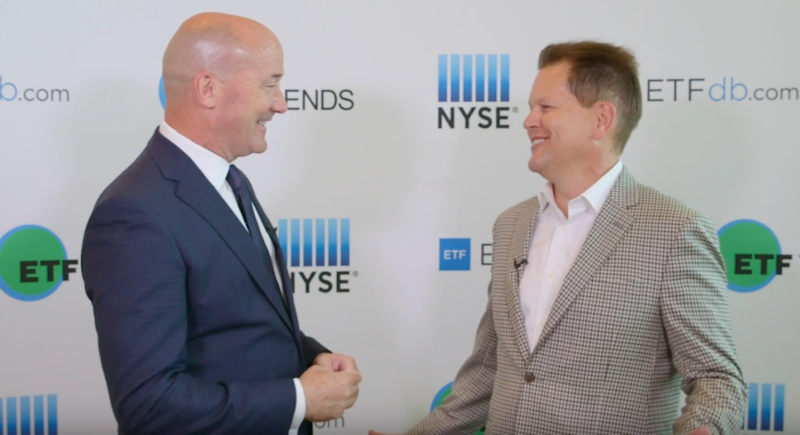 Really, what that is that you can buy the S&P 500 with downside buffer, so you’re protected,” Bruce Bond, Co-Founder & CEO of Innovator ETFs, said at Inside ETFs. For example, the Innovator S&P 500 Defined Outcome ETFs seek to provide investors’ exposure to the S&P 500 Index, with downside buffer levels of 9%, 15%, or 30% over an Outcome Period of approximately one year. The ETFs reset annually and can be held indefinitely. Most recently, Innovator came out with the Innovator S&P 500 Buffer ETF (BJAN), which has a 9% buffer, the Innovator S&P 500 Power Buffer ETF (PJAN), which has a 15% buffer and Innovator S&P 500 Ultra Buffer ETF (UJAN), which has a 30% buffer. The Defined Outcome ETFs try to limit the uncertainty involved with market exposure over the next year by providing investors market exposure with downside buffers of 9%, 15%, or 30%. The recently added January Series adds three new S&P 500 Defined Outcome ETFs and expands Innovator’s current suite to nine in total. Defined Outcome ETFs are delivering outcome based investing in a way that is more accessible, liquid, transparent, and cost-effective than ever before, and without corporate credit exposure. On April 1, Innovator is expected to expand its suite and list its April Series.